Experimentation is an important part of life. Without it, we wouldn’t have hybrid cars, meat dresses or Cinnabon-scented air fresheners, and look how awesome two of those three things are. Plus, hybrid cars aren’t bad, necessarily. For the latest in sushi experimentation, there’s Kone, now open in South Beach. 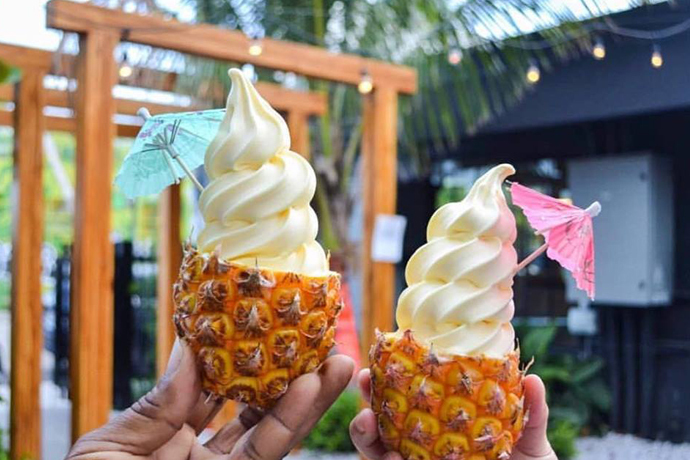 You’ll want to leave the chopsticks at home, grab a table and order up a few cone-shaped, seaweeded delights. They’ve got usual suspects like salmon tartare and yellowtail, plus something called the Crazy (shrimp tempura, spicy tuna, eel sauce). Wash it down with a Sake-Pirinha (sake, muddled limes), and if you want to keep the conical theme going through dessert, we suggest the Brigadeiro, a waffle cone filled with crispy rice, strawberries and chocolate sauce. No, you can’t bring your own ice cream.